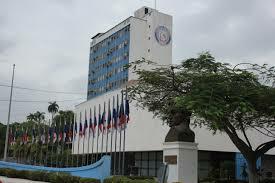 Panama’s Chamber of Commerce he Chamber of Commerce, (Cciap) has urged the National Assembly to act prudently and avoid populism. In its weekly bulletin on Sunday, Fem 10 the business group emphasized that "what is decided today must be sustainable over time and not a supposed benefit in the short term." Cciap stressed reminded that it is necessary to legislate for the common interest through the issuance of laws that contribute to the consolidation and strengthening of the Rule of Law, "within which the institutional framework allows the national society to advance more and more in peace, justice, and equity ". "This week several bills were discussed in the legislative chamber, which, although it is true they were consulted with different interest groups, we estimate they did not finish evaluating and considering in depth the direct impact that this would have on the sectors involved in them , says the Chamber. In the legislative committees, they are reviewing preliminary projects that, really, are far from taking into account the needs of the population. "Acting populist, not only would represent a serious blow to the economy of the country but for consumers."